At long last, a novel that cuts to the corrupt heart of suburbia’s most shocking scandal! 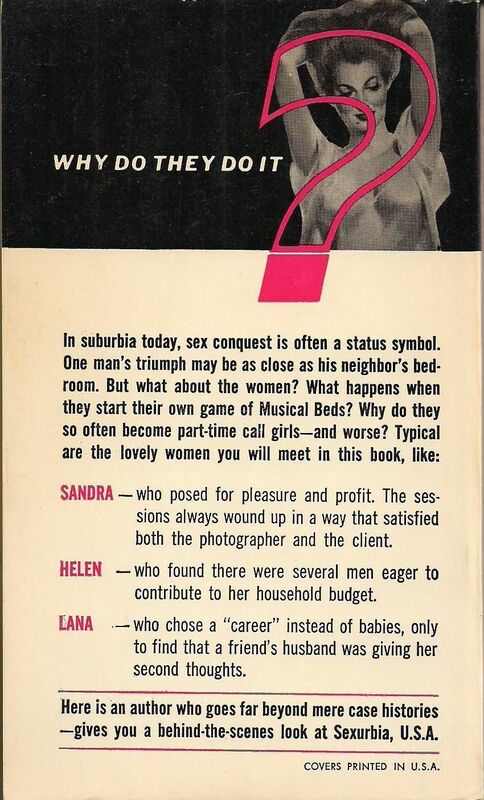 Sandra — who posed for pleasure and profit. The sessions always wound up in a way that satisfied both the photographer and the client. Helen — who found there were several men eager to contribute to her household budget. Lana — who chose a “career” instead of babies, only to find that a friend’s husband was giving her second thoughts. Here is an author who goes far beyond mere case histories — gives you a behind-the-scenes look at Sexurbia, U.S.A.